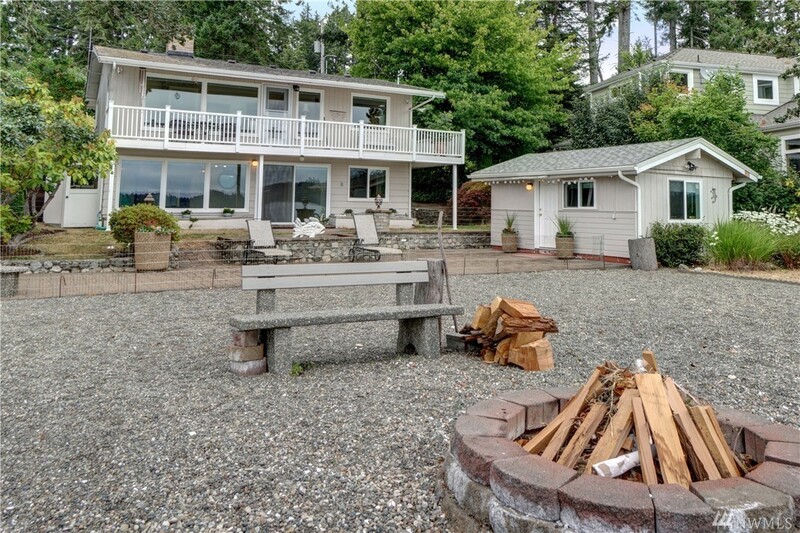 NO BANK WATERFRONT on TREASURE ISLAND with UNOBSTRUCTED VIEWS OF MOUNT RAINIER!! 60 +/- ft of remarkable frontage on the Case Inlet of the Puget Sound. This 1,792 sq ft home is perfect for Full-Time or Part-Time Residence. Mirror Image Floor Plan w/ Kitchen, Living Room, Bed & Bath on both the main and lower floor. Beach Side Bungalow for sleeping/crafts/storage and more! Wonderful patio, level with the beach, to enjoy all year long!! Come see all that Treasure Island has to offer!